#Third-Power is a boxwalking puzzle platformer that goes back to the basics. Navigate and traverse the energy systems known as Vectors. Construct and deconstruct to create new paths. Think inside the box, its just a game. (a game for) Two is a game that abstracts how two people form a partnership / friendship / relationship, and reconstructs it into a play experience. It does this by tasking players to move along a gated linear path. In order to pass each gate, the two players must both participate in a trial that aims to establish and build upon various methods in which people form trust and bonds: communication, recognition, teamwork, etc. Each is designed to necessitate conversation and co-reliance, which in turn creates an avenue for a free, less goal- oriented verbal discussion between the two participants. The game colors these situations by framing the experience in a shipwreck narrative. Both players have washed up on shore of a deserted island, seeing nothing but a path that leads into its heart. At the far end, through the environments and past all the gates, is a village at which a boat waits to whisk the players away. Straying off the path, however, is a vast island to discover, and more and more is revealed to the players as one clears the impeding gates. (a game for) Two's design goal is to attempt to create a meaningful digital interaction that develops in a constructive manner as the game unfolds. An adventure game tells the story of two sisters who are staying at home alone. Gameplay is rich in complicated puzzles and original, hand-drawn illustrations. 4D is a 2.5D platformer whose game play lies in the heart of the fourth dimension; time. Tick is a living clock who traverses it's 3D environment by running and jumping. As Tick moves along a two dimensional area of gameplay it finds that objects moving in the 3D world progress through time at the pace Tick sets. The player uses Tick's ability to manipulate space and time to progress through the levels and defeat enemies. As Tick moves further through this convoluted world clues to Tick's past and abilities are gradually revealed. 4PM is an experiential drama game, where you lead a character through several different scenes/locations during a day, each with its own, unique gameplay, adding to a bigger story, culminating at the end of the day with an impacting, meaningful choice. 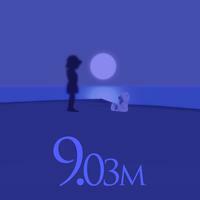 Made using UDK, 9.03m is a short, first person, art/empathy, serious game for PC. Its main aim is to humanise the victims of the 2011 Japanese tsunami. The media is quick to put figures to death tolls in such disasters, and 9.03m tries to remind people of the individuals behind those figures. The game is set on Baker Beach in San Francisco, where debris from the tsunami has washed ashore (this is in relation to how the tsunami debris has been washing up on US west coast shorelines for the past few years). To play, you must find interact with the debris in search of butterflies. A Beever! is a 2D side scrolling action-adventure platformer where the player follows the story of a beaver who wants to gain the abilities a bee and hence becomes a Beever! The player must collect pollen on its path to gather the experience of a bee while avoiding the deadly wasps and other creatures. The player enjoys beautiful scenery as they embark on their journey to become a Beever! A short game of patience and reflection on the juxtaposition of life, death, and decay. 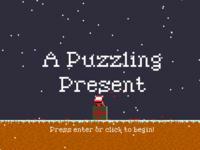 A Puzzling Present is a puzzle platformer with a twist - the mechanics and levels were designed by a piece of software called ANGELINA, using cutting edge ideas from computational creativity and procedural content generation. Playing as Santa, find your way to the present in each of thirty worlds, using one of three unusual special powers to help you on your way. These special powers were designed by ANGELINA independently by generating and testing game code - and then using these powers as a basis, ANGELINA went on to design the game's three worlds. Aces is a project that was made by 6 last year students from Supinfogame. The main intention is to merge the tactic and teamplay from the MOBA genre with the dynamism and the 3 dimensional aproach from dogfigthing games. Each player can choose between different planes (each one having different bases stats) and choose a set of skill giving the plane special abilities. To win team members will have to build the best squadron and be very coordinated to accomplish the team-based objectives. We also wanted to put a real existant level design in a plane game to have real occluders and map control objectives. It leads us to very manoeuvrable planes to easilly fly througth buildings and feel like an Ace! AE Heart is a cross between a top down action RPG and a strategic board game. Playing as The Dreamer, you have 30 days to do as much to save your dying world as you can. By day, you arrange the buildings in your town in order to unlock new dungeons and progress farther in the game, and by night you enter the dungeons to collect the resources you need to grow stronger and build better buildings. Airscape: The Fall of Gravity is a game about an octopus, a dangerous world, and questionable physics. Airscape is a fast-paced action platformer set on an alien world during a cataclysmic mechanical invasion. The game's unique gravity system means the player will be faced with beautiful, mind-boggling levels and incredibly devious foes. Airscape also features a unique swimming mechanic to complement the gravity-based gameplay, a physics-based terrain system, secret levels, unlockable characters, and more. You are a dragon. You are the world's paintbrush. Reveal the secrets of the world of Aku. Share on an adventure with Albert, a kinda crazy scientist. This time, he built a machine able to collect the rare resource known only as "Energy". The catch is that Energy comes in two colors: red and blue. Only one mistake... only one wrong Energy harvested... and he fails. Can you help him finish his quest? Ambers is a tactical, squad oriented turn-based strategy game with roguelike-like elements. Set in the border territories of a historical fantasy world, Ambers will chronicle your rise to power from humble beginnings as a leader of a mercenary company. If you can survive, you will flourish and your legend will be told for centuries. You will recruit, customize and lead your soldiers to overcome different challenges. An Occurrence at Owl Creek Bridge is a game adaptation of the Civil War story of the same name written by Ambrose Bierce. Besides the title and credits, it tells a story without the use of any game dialogue, be it text or audio. As such, the story is conveyed through the use of pixel styled graphics, diegetic sounds, and minimal controls. These allow the player to more freely explore the story, encouraging the use of imagination to interpret the art and build the narrative as they progress. An Occurrence at Owl Creek Bridge is able to move the player through a deep, historical story within the span of 5 minutes without the use of words. Anamnesis is a first-person exploration game set in near-future L.A. The city is recovering from a deadly virus that had half of the city quarantined. You are a government relocation agent visiting a temporary shelter complex in order to find out why some of the tenants have lost contact. In this game, the Oculus Rift serves as a secondary display port, alongside the computer monitor. The monitor displays the first-person view of the character, but players may bring up the Oculus Rift to their eyes at any time in the game to inspect objects. In the narrative of the game, these goggles are specially designed goggles that read "psychological imprints" left by people that were previously there. Anamnesis uses this technique to explore multiple narrative perspectives, environmental storytelling and the utilization of role-play and ritual in the gameplay process. A peaceful, endless platformer about a little ball that is exploring away from home. The controls are the left and right button of the mouse. Left click lets you jump. Left click again to double jump in the air. Right click lets you dive, which is really important to get far in the game. Free the babies from the 10-second explosion. 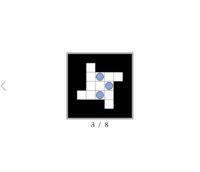 This game has 30 levels with a time limit of 10 seconds every level, be quick. Guide a flock of birds through a world where earth, sky and stars are woven together. Apsis is a journey through the many skies of a beautiful and foreign world, exploring its mystery and myth. Simple controls combine with sophisticated flocking behaviors to create graceful, liberating movement through the air. Thoughtful artistic design evokes a broad emotional arc over the players' travels. The game is designed to be accessible to many audiences, respectful to players and their time, and truly enjoyable instead of addictive. The world of Apsis is not a place to conquer, but a place to discover and play. 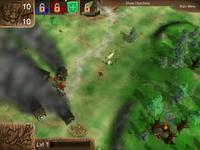 Aril is a fast-paced real-time strategy game, focused on intense quick matches. With Aril we merged the build phase and battle phase. As a result Aril matches never take longer than 5 minutes, where every minute is packed with quick decision making and high-level tactical thinking. Aril features innovative gameplay, an experimental art style focused on clarity and an energetic yet soothing soundtrack. Aril matches can be played over internet and LAN against other human players or can be practiced offline against the computer. An in-depth campaign is also available to teach you the ins and outs of the game and allow you to become an Aril expert. -	Innovative gameplay, allowing high-level tactical thinking and quick decision making. -	Intense fast-paced multiplayer matches. -	An experimental art style focused on clarity of battle. -	An extensive single-player campaign with unique challenges. Ascendant is a 2.5D side-scroller that combines the depth and randomness of roguelikes, and the fast-paced action of beat 'em ups. The game's brawler-based combat is designed to keep you dangerously close to the action during each enemy encounter. Elements from the roguelike genre are utilized to allow for character customization, ability combination, and the general awesomeness achieved from dynamically generated content. You, as the Ascendant, suddenly manifest in a world populated by raging fanatics, devout zealots, and wild beasts, furious at your arrival into their plane. You are a challenge to the rule of the older, tyrannical gods, and they will stop at nothing to eliminate you. The world has succumbed to their might and you must travel through the land gaining strength, enhancing your abilities, and gathering an army of followers to oppose their reign. Enter a world unlike any you've encountered before. Somewhere in mankind's future sits a grimy neon city named Olympus. In this city you will experience fascinating people and locales in a future metropolis. Join in your characters adventure as you fight in an immersive active battle system. Acquire cash and upgrades to better equip yourself to face the dangers of the city. Intrigue and deception will pull you forward as you make your way from the rundown slums all the way to the corporate heart of Olympus. 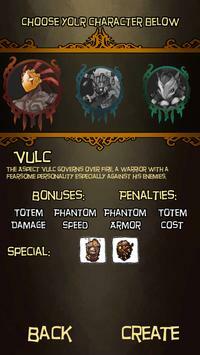 Ascension is an action adventure containing RPG elements. 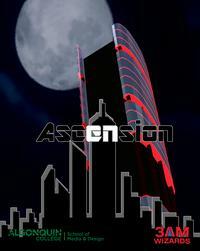 Ascension takes place in a Cyberpunk setting and contains elements of classic Western RPGs, narrative adventures and active battles of JRPGs. You will find such things as world and character exploration, objects with which you can interact, and upgrades to purchase. Ascension is a story cut into three acts, Episode 1 is the first one of those. This submission is the tutorial of that episode. -The game features a unique mix of action and RPG elements to challenge the player's strategy and skill. - An interactive environment with world objects that the player can manipulate. - Characters have lives that happen around you. An AI scheduler ensures the city of Olympus is always alive and its people always have something to do. The city of Olympus is the locale for the game (Seattle is the blueprint for the city). All gameplay takes place within the city with the exception of the OverNet which the PC will enter during various parts of the story. The OverNet is a physical manifestation of what our current Internet is like. Episode 1 takes place in the Humanist Ghetto and contains three large playable areas. Humanist Ghetto: (Contemporary: like slums and rundown areas of large cities, Abandoned Detroit city centre, mixed with New York brick structures and Brazilian favelas). A place where marginalized members of the city's populace find themselves. Those who do not wish to undergo retro-fitting (a process of mechanical augmentation often required to find employment), criminals, and outcasts all find themselves here. - Slum Street, Cronus' office. Locations of interest: Detective's office and game start, a seedy underground bar, an abandoned subway entrance, a gang's headquarters, a destroyed freeway, the city sector gate, and a slum market. Being an Aspect with powers of a demigod. You set out on the journey to defend your people against invaders from the wild. Aspects TD is a game that combines the essence of tower defence and role playing genre with beautiful painted art style and epic sound/music then bringing them to the mobile platform. Asterogue is an iOS and Android game that combines the tension and discovery of a roguelike with a real-time combat system specifically tailored for touch controls. Explore the shifting layers of a mechanical planet that changes every time you play, take on an army of deadly robots, and salvage procedurally-generated weapons from the wreckage of your foes to build up your own strength. With its combo-driven, dodge-heavy combat and gripping risk-reward system -- you'll find better weapons the longer you play, but it is only by voluntarily ending a run that you can save your newfound weapons for later use -- Asterogue provides an exciting gameplay experience unlike anything else on mobile platforms. Attack of the Ghastly Grey Matter! Horrify humanity! Abduct cars! Laugh manically! "Attack of the Ghastly Grey Matter!" 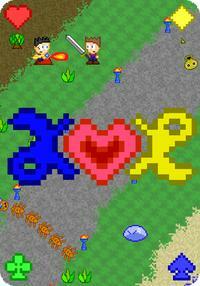 is a fast paced side scrolling endless runner game for android devices. Play as the Ghastly Grey Matter, a melodramatic B-movie villain intent on invading earth. Take control of Ghastly's powerful alien hand to abduct crowds of puny humans and smash your way through several visually stunning environments! Milksteak and the Jellybeans are a team of five students from University of Abertay Dundee who created "Attack of the Ghastly Grey Matter!" over the course of 9 weeks after being chosen to participate in the premier video games development competition Dare to Be Digital 2013. Attractio is an indie first-person puzzle game developed with the GC Engine (GameCoder Studios' in-house engine) where the player has to solve challenging puzzles manipulating gravity. These puzzles challenge the usual way of thinking about physics and gravity. 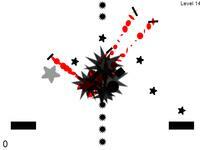 In Attractio each object have its own gravity direction which can be changed by the player. Millions of inhabitants of the Solar System look forward to the new season of the controversial reality show: Attractio. In this reality show, the contestants solve deadly puzzles knowing there is a high probability of not leaving alive. However, the winner will choose the Grand Prize: money, technology or even their freedom. AXYZ is a PC first person 3D platform game. It is unique in that it allows to control both the character and level at the same time as individual entities, combining classic mechanics to create a new game dynamic. To make the game experience more fluid, we have designed AXYZ to be played with a PS3 Controller (DualShock 3), making use of the Sixaxis motion sensor integrated within, that way the character and first person camera are controlled with the analogue sticks while the level's rotation is controlled by rolling and pitching the DualShock 3. A Bard's life is difficult one - to gain the renown you know you deserve you require Great Heroes so that you may tell tales of their great deeds. Unfortunately you find yourself in a continent of carrot farmers and rock herders... not really epic material and far beneath your talents. So you journey in search of 'Real Heroes' - but the world seems against you - tree-hugging goblins, orcish raiders, bears and even a red dragon impede your progress. It is about time the local carrot farmers did something useful and dealt with these threats so you could move on and find somebody worthy of your talents. As a Bard - sing your beguiling songs to magically compel the locals to help you on your way. Sings songs to aid and control them - perhaps some songs of bravery will make them willing to fight against those fearsome beasts they should really just run away from, and songs of strength will to make them hit harder. With just your voice and heartless disregard for the plight of others - move on and find some Heroes to sing tales of. You know you deserve to renowned throughout the land - You are a Bard after all. Bestellen: The Zenith of Chaos is a Strategy Simulation RPG asking players to take on the role of Bestellen, the Deity of Order, as you aide four adventurers on their ascent to the top floor of the Gygaxian Spire. Give your adventurers the abilities and strength that they need to reach the top floor of the spire so that they may lay waste to the evil that has brought the Gygaxian Spire from the Plane of Chaos into the mortal realm. Bewilder House is a first-person puzzle game where you have to overcome a feeling of loss of bearings. Trapped in strange mazes where the walls open and close when you're not looking, you'll have to use your mind and first person controls in unusual ways to escape a deceptive funhouse that plays with both your perception, and your life. In BHB, the player takes the role of the titular robot, a plucky little BioHazard Bot whose purpose is to carry out tasks too dangerous and unpleasant for humans. When an experiment goes bad, unleashing a plague of horrible creatures, it is up to BHB to clean up the mess and make the facility he works at safe for human use once again. 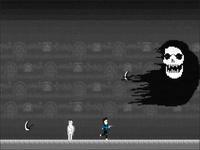 BHB is a 2.5d action sidescroller. The game features stunning 3d graphics, exploration, gravity bending physics, and combat that can take place in any orientation. The player proceeds through the game by exploring different regions of the facility and opening new ones by systematically wiping out any contaminations you may encounter. theme of witchcraft with all-female characters. fighting other players using spells and abilities that are specific to the player's chosen character. •	1 Primary spell designed to be used the most often. It has the lowest recharge time. •	1 Secondary spell designed to be used as an alternative form of damage output to the primary spell. 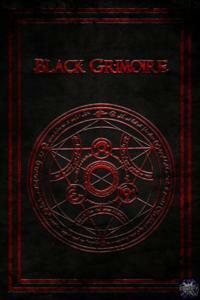 •	3 Other spells or abilities with varied uses and functions dependent on the character's play-style. •	1 Ultimate spell designed to be the character's most powerful ability and usually has the highest recharge time. Black Oak Manor is an asymmetrical (4v1), local-multiplayer game set in a haunted mansion inspired by campy horror films. A team of paranormal investigators with 1-4 players has been sent to investigate the manor but they are not sure what hideous creature awaits them. Another player is the monster that lives in the manor. There are several classic monsters to choose from each with unique powers. The investigators must identify the monster and end its reign of terror… or die trying. Wandering in a beautiful and hazardous world. If you are blind, you are safe. Pursuing will put you in a dangerous place. Will you seek for something, to see the world clearly, or stay safe? 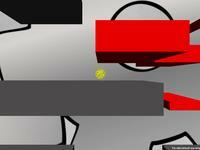 Blow Away is a side scrolling casual physics and puzzle based game. In this game, you are the wind, and you need to take advantage of the wind to blow the balloon and things around the balloon in that direction. The object of the game is to get the baby safely from point A to point B (the finish), while also collecting any bears along the way to help increase your score for each level. Simply move your finger next to the balloons to move the baby in the opposite direction. Bokida is a first-person 3D game. It's an interactive experience where the player is invited to explore a vast, beautiful and peculiar world. Bokida's world is defined by two Stars : The Light one, the surface of which the player explores; and the Dark one, visible in the skies above. These two gigantic entities have been separated for a very long time, but the player's arrival marks a turning point in this equilibrium. Like two lovers longing to reunite after having been kept apart against their will, these two stars finally have a chance to merge once again through the player's actions. Exploration revolves around the playful manipulation of a set of digital "tools" that allow the player to engage and harness the virtual environment. 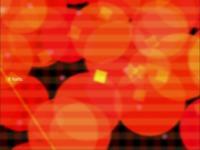 The player can create unique, colorful structures/compositions and colonize the canvas of the computer screen. Hence, the dormant world of Bokida is tamed and turns into a territory where the player toys with the simulated physics as she discovers the majestic landscapes it has to offer. At the core of the experience, we designed a powerful digital toy bestowed upon the player who's free to playfully manipulate it. With these tools, the player can generate 3D structures, precisely cut and sculpt them and also push or blow away cut-off cubes and fragments, all of this in real time. Mechanics combine in an eloquent manner to offer an experience almost sensual in nature, where the player is invited to express her creativity and to navigate the vast, open world according to her own motivations. 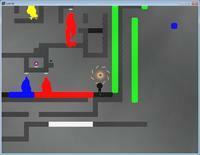 Play as a secret agent that moves rooms around to infiltrate an enemy's hideout in order to stop their evil plan. The player will be graded on how fast they get through the level, how many items they collect, and how many secrets they uncover. The rooms can be moved whenever the player wishes. Players must use their problem solving skill by moving the rooms in such a way that they can get to the exit quickly and efficiently. Discover the grasslands, mountains and deserts and hope to find at least one friend outside mother's territory. Use the new control concept to physically feel the avatar and your own combat figures. AN ORPHAN BOY IS SEARCHING FOR HIS SISTER IN A BIG SCARY SCRAPYARD. THE SISTER HAS BEEN KIDNAPPED BY AN EVIL WITCH. THE WITCH ALSO CURSED THE BOY WITH MAGNETISM. NOW HE HAS TO FIND A WAY TO CONTROL THE CURSE TO SURVIVE AND ULTIMATELY SAVE HIS SISTER. Caravan is a thirdperson game, where the player has to deal with watershortage in a desert, trying to escape with the help of other players. Caravan features what we call massive offline mulptiplayer, which means, every time a player dies, he leaves a grave with little amount of water for others to pick up and continue at that point. By this players play alone as a character, but are always supported by all other players in the game. So caravan is about the experience of achieving something in a group or society with unified will. 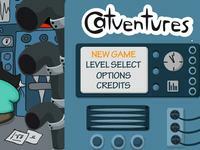 CATVENTURES is a jump and run game about a scientist-cat traveling in time to save his nieces and nephews and to bring them safely back to the present. One day the scientist is building on his time machine when his two nephews and two nieces come in his laboratory for a visit. Curiously they run to the machine and start playing with it, when suddenly the machine goes on and the kitties disappear in different centuries. Now it´s up to the scientist to travel in time and to bring the kitties back to the present. Celestia is a vocal interaction music game. Incorporating visualization technique, Celestia uses voice input based on pitch detection as a primary means of control, and provides insight into innovation of vocal interaction. Users sing three pitches who are bound together to guide a newborn star through the universe with melody. Celestia takes a different, innovative approach to classic music games, its innovation lies in its artistic and illuminating visualization of acoustic input. Cliff The Lemur is a third person puzzle platformer that encourages exploration and problem solving. He is able to wield a life force that can enliven plants and activate ancient architecture. Cliff lives in the Drylands, which once was a lush jungle housing ancient lemurs. These lemurs lived with a life power that flowed through the land. While searching the Drylands for remnants of the life power, Cliff stumbles upon an engraved stone door. Curious as to what lies behind it, he searches for a way to unlock its' secrets. Take control of Cliff and wield the life infusing power. CMYK is a singlescreen multiplayer platformer for up to four players. One player takes the role as king and has to run away from the others, who want his crown for their own. Possessing the crown grants points over time. When a player reaches the predefined goal, the game is over. Players can apply colors to the platforms with, which then have an effect depending on their color. On magenta platforms player run extremely fast, on cyan ones they jump super high and players can't collide with yellow platforms. The result is a high paced and fun game for you and your friends. CMYK is currently in alpha status and was developed as the final bachelor project for the game design course at the ZHdK ( Zurich University of the Arts). A release is planned on the OUYA and you can already download the current alpha version on cmyk.elephantatwork.ch. CoBots is a game about two daring robots who have been tasked with saving their spaceship from crashing into a nearby star. They are permanently bound together with a forcefield, preventing them from moving too far away from each other. This forcefield is their strength as they're able to utilize it in order to solve puzzles and navigate the dangerous environments, all while trying not to accidentally destroy each other. The game takes place onboard the spaceship and is played from a 2.5d perspective. Choose to experience the wondrous environments and challenging puzzles either with a friend or by yourself. CoBots was developed by six first year students at Uppsala University Campus Gotland (formerly Gotland University) during a 10 week course in game production in the spring of 2013. Most of the team had no previous experience at all in developing 3d games and no one had previously released a game. It was also the first time the team worked together. CoBots later went on to win multiple awards at the Gotland Game Conference 2013 during early summer and is now going commercial this fall. Color By is a 2D puzzle platformer game with a focus on exploration and discovery. Simple yet complex; this game has a series of interweaving systems to drive its core experience. In this game, you paint the world around you. Platforms cannot be interacted with until they are painted! As you progress through the game, you discover items that you can use to paint with as well as items which change how you interact with different colored paint blocks. The level of complexity in the different levels is layered by the colors, items, and interactivity with the blocks. Nearly every mechanic in the game (even respawning!) is a viable mechanic to be used to solve the puzzles.